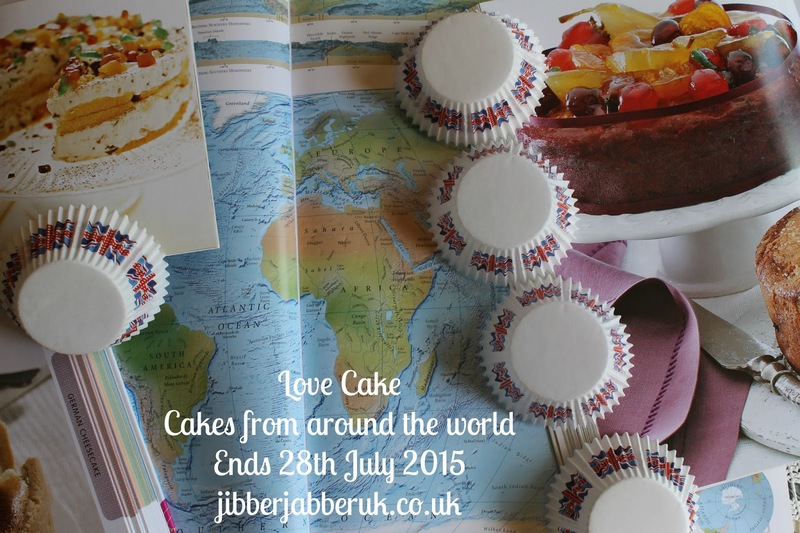 Whether you've stayed at home this year or been globe trotting around the world there's been a feast of flavours for this month's Love Cake. So with an atlas at hand let's see what everybody has been baking for the 'Cakes from around the world' theme. We started off in Blighty with a Pimms Cream Cake from Caroline Makes.... With Pimms and lemonade in the cake mix this was finished off just like a Pimms should be with strawberries, orange, cucumber and mint. From far up in her Shetland base Elizabeth's Kitchen Diary has been making notes on recipes from Scandinavia. With her mother-in-law visiting from Norway and her husband's birthday it was time to bake a Sockerkaka. 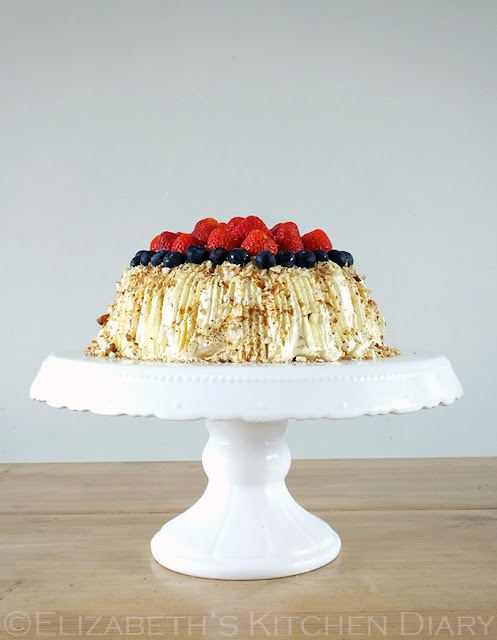 Based on a Swedish recipe dating from at least the 1930s this is a sponge cake filled with cream topped with fresh berries and toasted nuts. It was time to sail over the Atlantic Ocean for The more than occasional baker and Ros' version of the American classic Pineapple Upside Down Cake. With its retro styling of pineapple rings and cherries this juicy cake remains a favourite with many. It was back to Scandinavia with Nic's Bakes and a childhood favourite. Remembering her days in Denmark as a child Nic decided to recreate Danish Dream Cake or Drømmekage. It has two layers and on top finished off with dessicated coconut and muscavado sugar. From Europe it was down to North Africa with another cake from Elizabeth's Kitchen Diary. 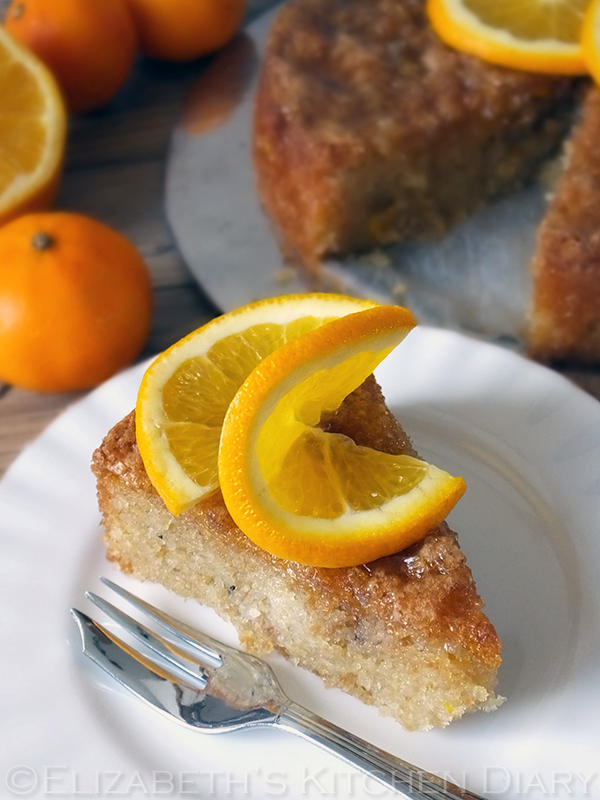 With oranges and bread crumbs waiting to be used up it was time to make Tunisian Orange Cake. The added flavour from the cloves and cinnamon gives the cake some extra spice. For a truly international twist to some brownies Kavey Eats sought inspiration from Beirut. 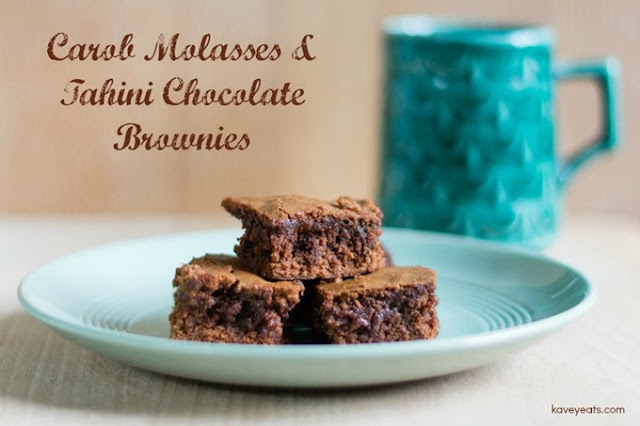 With hints of influence from Turkey and Greece these Carob Molasses and Tahini Chocolate Brownies are sure to stand out from the crowd. I finished the month off with a trip to Germany and a Black Forest Gâteau. It may have had its heyday in the 1970s but would you say no to a slice of chocolate cake with a smothering of cream and tangy cherries? Many thanks to everyone who shared their cakes this month. It was lovely to see some new bloggers joining in as well was some old favourites. I'll leave to eat your cake and I'll be back in a couple of days with next month's theme. Oooh lots of temptation there!! !